During our family road trip through the Adirondacks, we took in a lot of what this beautiful region of Upstate New York has to offer. We took in the epic Ausable Chasm and experienced the views of the Adirondack mountains from a 30-foot eagle’s nest at the Wild Center. But through all of our adventures, one of the coolest parts of our Adirondacks family vacation was finding all the cool things to do in Lake Placid New York. 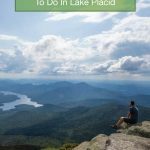 But we weren’t satisfied with just one or two adventures, we wanted to discover ALL of the Lake Placid things to do for families. So we set out on an epic weekend through the Olympic city. And we didn’t leave disappointed. From epic views to adrenaline-pumping thrill rides, we ended up not wanting to leave Lake Placid NY! Unlike many of the quiet towns in the Adirondacks, Lake Placid during summer is booming. Everywhere we went there were families on-the-go taking in all of the Lake Placid things to see and do. It was obvious that Lake Placid family vacations were a hot ticket so we were excited to learn more. For a tiny village of only 2,500 people, during the summer, Lake Placid NY sure seems a lot bigger. Even when combined with the nearby town of Saranac Lake, the year-round population doesn’t reach 10,000. But thanks to the stunning natural scenery of the Adirondacks, tourism in Lake Placid has been booming for over a century. And you can’t even talk about Lake Placid without talking about sports. Everywhere we went in Lake Placid there were people cycling, running, climbing, and hiking. This active lifestyle has been bread over the last 100 years. Lake Placid was home to not one, but TWO Olympic games, the first in 1932 and the latest in 1980. Where Is Lake Placid NY? Lake Placid, Tupper Lake, and Saranac Lake make up a region of the Adirondacks called the Tri-Lakes region. The town of Lake Placid NY actually sits on the south shores of Lake Placid and encompasses the scenic Mirror Lake. Lake Placid is about a 6-hour drive from Toronto and it’s about a 5-hour drive to get from NYC to Lake Placid. This makes it a perfect spot to break up a road trip from Toronto to New York or vice-versa. 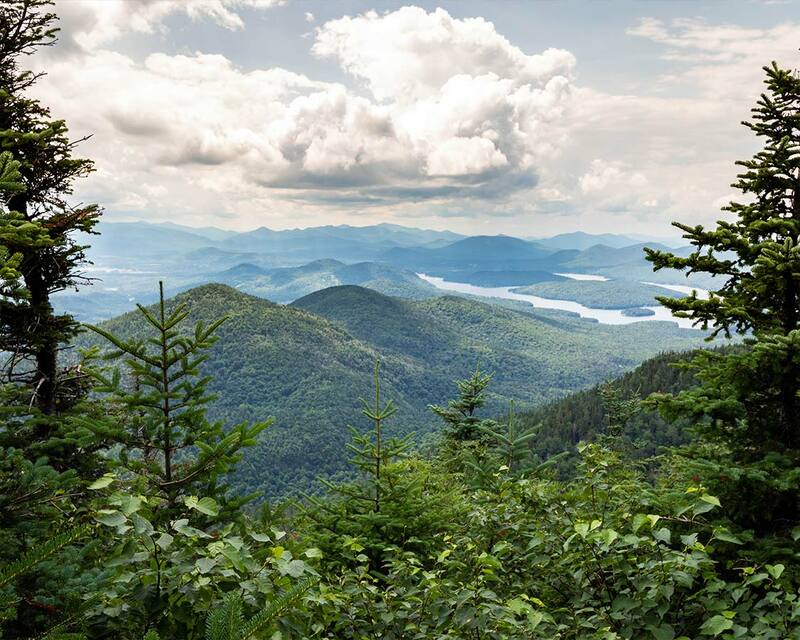 While many people think of visiting Lake Placid in winter to take part in the huge amount of snow sports that the region has to offer, there are just as many, if not more Lake Placid summer activities for those who make the journey. We couldn’t imagine coming here without visiting the Lake Placid Olympic Village. After all, Lake Placid is almost synonymous with the Winter Olympics. And The Olympic Center is one of the most exciting things to do when visiting the Adirondacks. 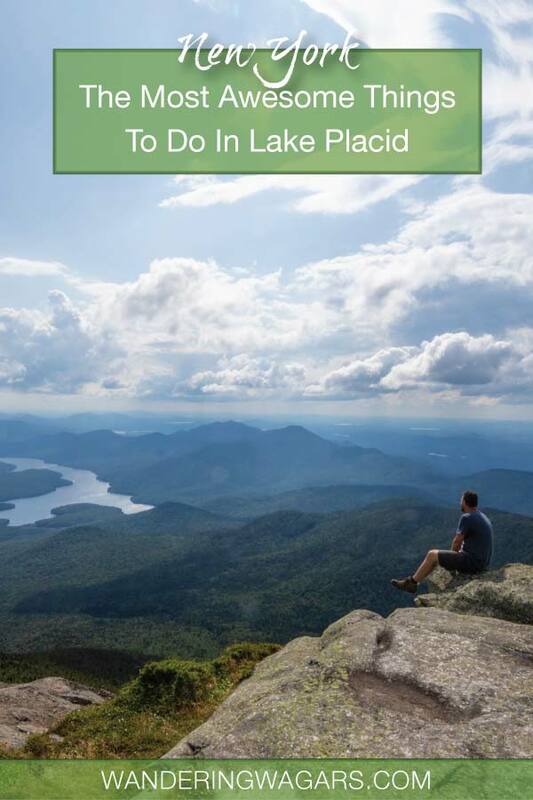 The Lake Placid Olympic Center itself is best experienced with the Olympic Sites Passport which gets you into many of the Lake Placid Olympic attractions. 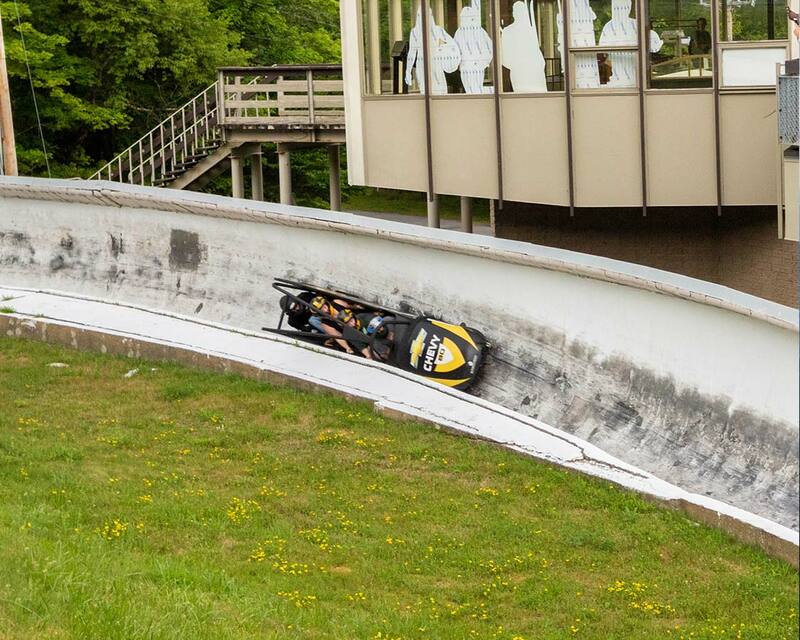 The Olympic bobsled run was the first thing that we got up to in Lake Placid. Unfortunately, D was too young as the Lake Placid bobsled experience is only open to those age 6 and up. But C was so excited to take part that D was perfectly happy cheering us on enthusiastically from the viewing platform. During the summer the bobsled is run on wheels. A safety cage and seat belts keep all the riders locked in tightly. But all that safety doesn’t take away the thrill of the ride. Once we donned our helmets we went rocketing down the bobsled run at crazy speeds. And far from being afraid, C was whooping and hollering the entire way down. The bobsled experience also includes a t-shirt and photos, which makes taking some memories with you even easier. Pro-Tip: Looking to learn more about the Wandering Wagars? Check out our story here. We had never been to the top of an Olympic ski jump complex before. Standing at the top of the 120 meter Lake Placid ski jump platform was humbling, to say the least. The gondola ride to the base of the lift was beautiful. And watching the ski jump training take place below us gave us a taste of what was in store for us when we reached the top. It was cool seeing all of the Olympic ski jumping memorabilia that lined the walls of the jumping complex. But what we weren’t prepared for was just how spectacular the views of the Adirondack Mountains were going to be. They were incredible! Visitors to the Lake Placid ski jump complex can also sign up for tube rides down the hill for an additional cost. We’ve done plenty of winter tubing in Mont Tremblant Quebec, so we skipped this activity. It sure looked fun though! Being Canucks, life can be hockey, hockey, hockey. The boys and I all play hockey during the winter. And during the summer we can often be found shooting balls in our driveway. So a visit to the Lake Placid Olympic Center, where the storied “Miracle on Ice” occurred during the 1980 Olympics was a must! 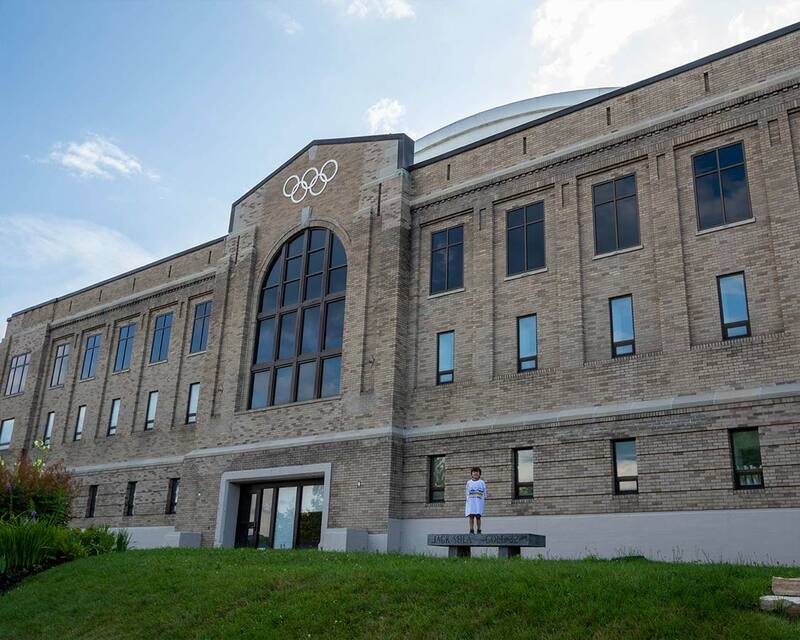 The Olympic Sites Passport includes access to both the Olympic Center Museum and the figure skating shows that are held regularly at the Olympic skating rink in Lake Placid. During the winter though, those who visit Lake Placid can even do some laps on the Olympic speed skating oval. That would be cool! Although access to Whiteface Mountain is included in the Olympic Site Passport, it can definitely be considered a destination of its own. Whiteface Mountain is a short drive from Lake Placid on the far side of to the Bobsled and Ski jump complexes. The Whiteface mountain ski resort is primarily located on the smaller, aptly named, Little Whiteface Mountain. Note, however, that the epic views of Lake Placid are at the peak of Whiteface Mountain. 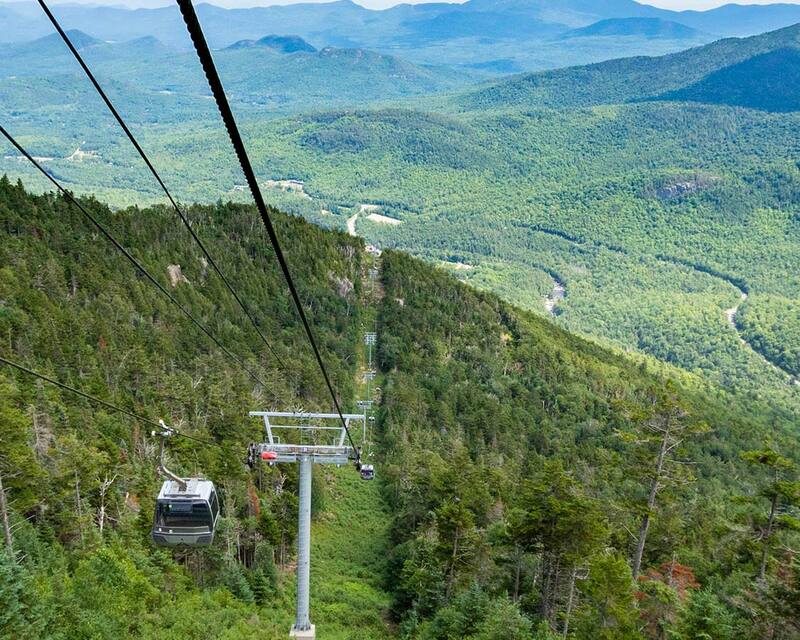 Visiting the Whiteface Mountain Ski Resort is one of the top things to do in Lake Placid in summer. It’s a perfect spot to combine Adirondack hiking and scenery with great food and cool activities. Although the top summer activities at Whiteface are downhill mountain biking and hiking, we were there to get the view from the peak of Little Whiteface Mountain on the resort’s Cloudsplitter Gondola ride. 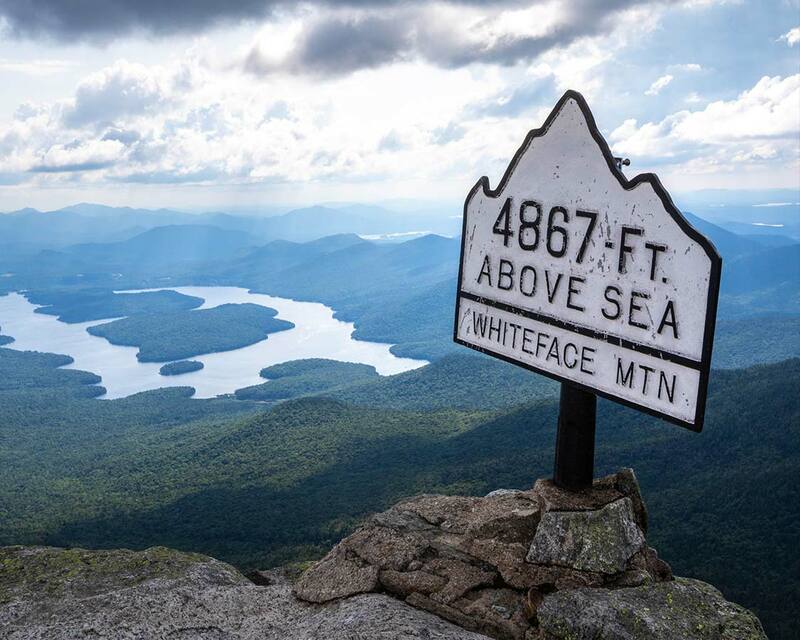 At the top of the Whiteface Mountain gondola are beautiful views of Lake Placid and a few hiking trails, including one that will take you to the base of the mountain. We got a hoot out of climbing the rocky peak of Little Whiteface and calling ourselves mountain climbers. The Cloudsplitter Gondola is covered by the Olympic Sites Passport. Otherwise, there is a fee of $20 for adults and $16 for children. Kids 6 and under are free. Just 1 km up the road from the road from the Whiteface Mountain Ski Resort is the entrance to the Veterans Memorial Highway. Access to the Veterans Memorial Highway is covered by the Olympic Sites Passport. Otherwise, there is a $12 vehicle/driver fee and it’s $8 for each additional passenger. Kids 6 and under are free. 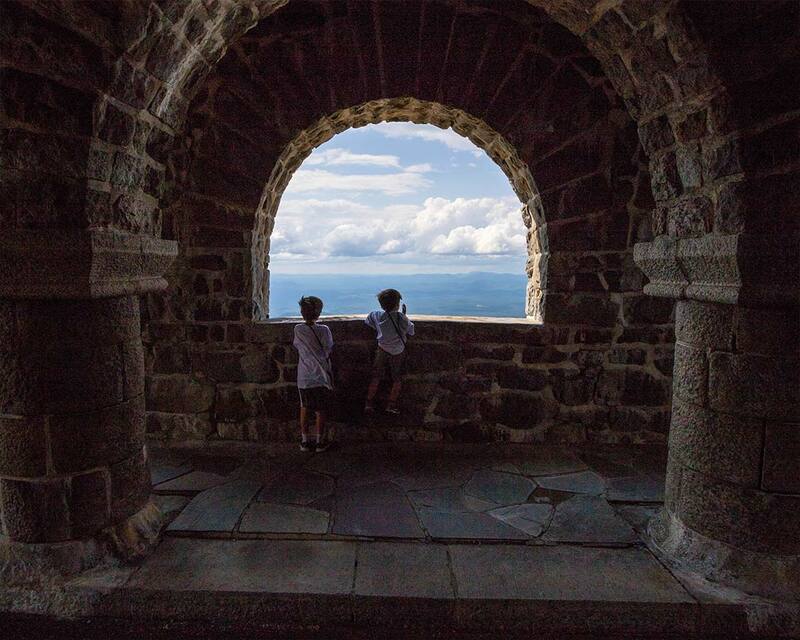 We were totally stunned by what we saw when we got to the top of the Whiteface Mountain Parkway. There’s a castle! Who would have thought there would be a castle in Lake Placid! The Whiteface castle is a popular spot for wedding photos, which we found out as there were no less than three photo sessions happening on the mountain when we got there. After grabbing a bite at the Castle Cafe on the top floor of the castle, we started the 20-minute hike to the peak of Whiteface Mountain. At the top, there is a small atmospheric museum and science facility that C, our little science fanatic, got a kick out of. But what really blew our minds were the views. We ended up spending hours exploring the rocks and taking in the scenic image of Lake Placid from Whiteface Mountain. 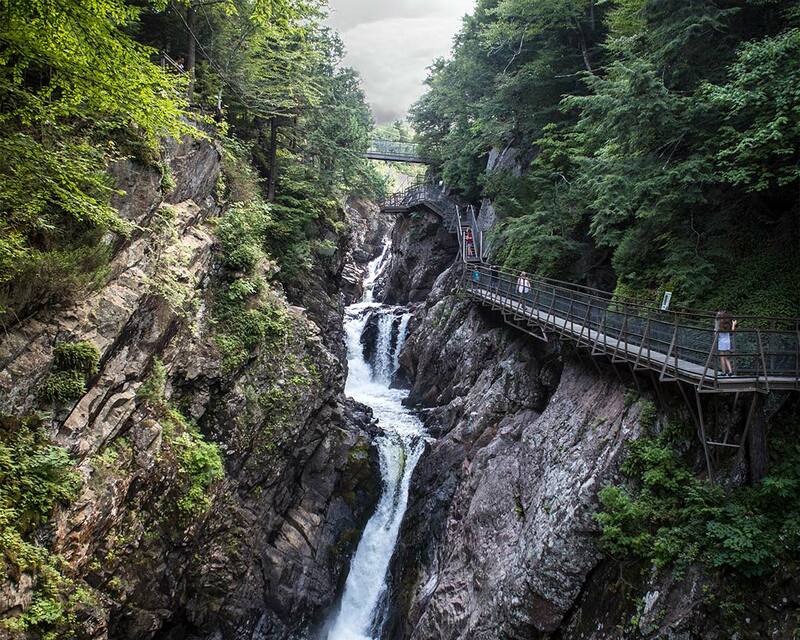 High Falls Gorge is located between the village of Lake Placid and the Whiteface Mountain Ski Resort. This series of connected and elevated pathways is a relaxing and fun way to experience the gorge and rivers of the Adirondacks. For those who don’t mind a short Adirondack road trip, the Wild Center is a perfect destination for families. 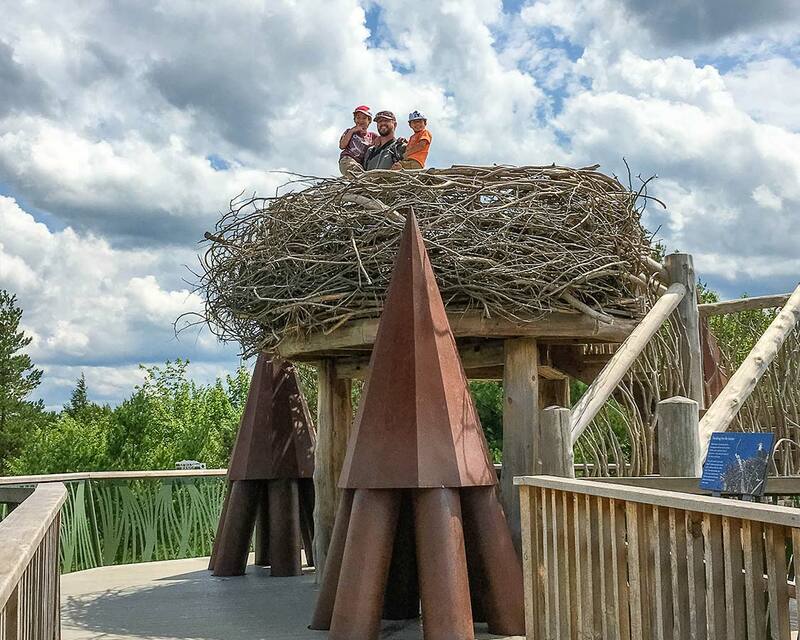 This Adirondack nature museum and activity center in Tupper Lake NY is the perfect place to learn about what makes the Adirondacks such a special place. You can read all about our experience at the Wild Center here. Mirror Lake is a pristine, calm lake at the center of Lake Placid village. This beautiful lake doesn’t allow motorized vehicles so it’s the perfect place for a calm paddle, especially for those visiting Lake Placid with kids. 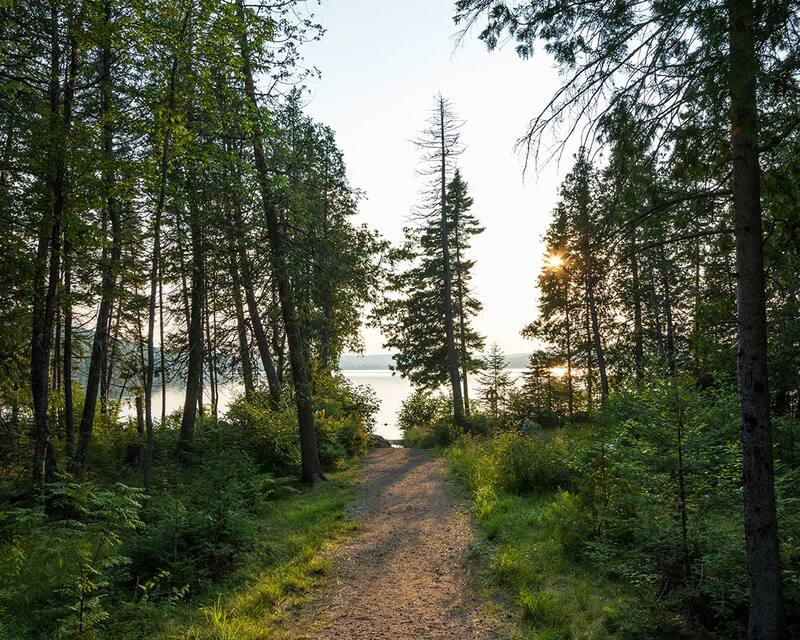 There is also a relaxing 2.7 mile (4 km) hiking trail around Mirror Lake that is perfect for getting scenic views of the town, lake, and surrounding forests. We didn’t have a chance to get onto Mirror Lake ourselves. But we did find a nice secluded bay for some Lake Placid kayaking. With the popularity of Lake Placid, the town has seen a growth in its culinary fare. So finding the best restaurants in Lake Placid isn’t hard. There is a lot to choose from. And because of Lake Placid’s popularity as a family adventure destination, many of the restaurants in Lake Placid are very kid-friendly. Generations Restaurant at Golden Arrow Resort is a popular local destination. The Generations restaurant has great views of Mirror Lake and features many locally sourced ingredients. Generations is very popular for their breakfast menu. The ‘Dack Shack, or “The Shack” as the locals call it is a popular pub-style atmosphere. It’s unpretentious, fun, and has great burgers and a popular Sunday brunch. We came for the chimichangas and didn’t leave disappointed. Desperado’s MexiQuinn Restaurant was walking distance from our Lake Placid accommodations at Wildwood on the Lake. The staff was super-friendly and they were uber-generous with the salsa and sour cream at no extra charge! There is no lack of great hotels in Lake Placid. But it’s a popular Adirondack destination so things book up quick. Especially the most popular Lake Placid resorts. We stayed at Wildwood on-the-lake. This great destination features a motel-style setup out front, but it also boats a cottage-like-feel. We loved the lake-fed pool at the front of the resort and the free access to kayaks, SUPs and canoes for exploring Lake Placid. In fact, it was such a perfect place for kayaking that C taught himself to kayak by himself there! 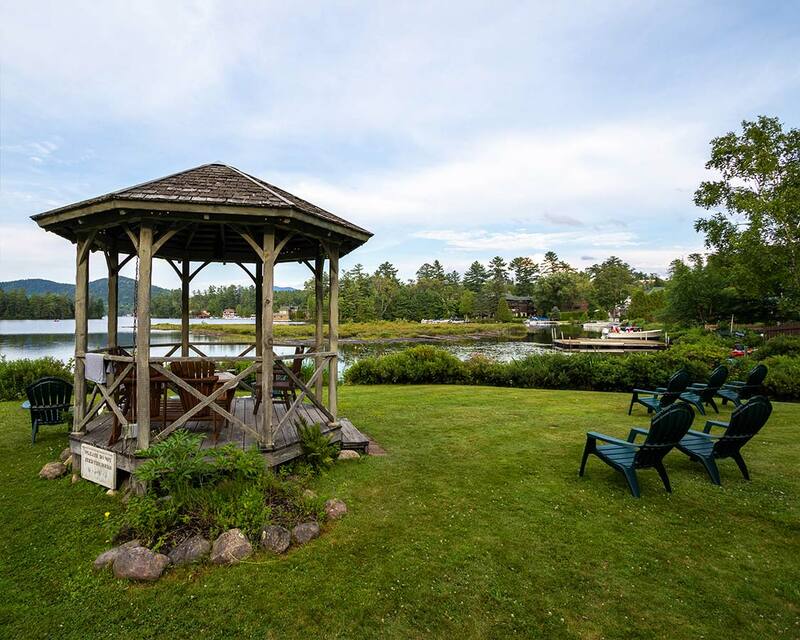 Golden Arrow Lakeside Resort is also one of the best Lake Placid resorts for families and couples. They are lakeside with incredible views. And the on-site restaurant Generations is one of the most popular places to eat in Lake Placid. Check their availability here. 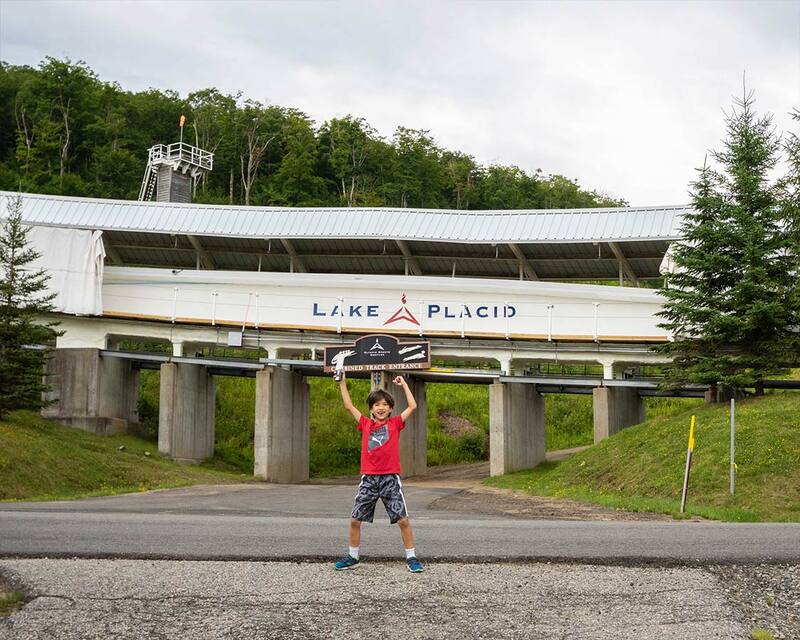 Should You Get The Lake Placid Olympic Sites Passport? The Lake Placid Olympic Sites Passport is a regional pass that gives users access to various places within the Lake Placid Olympic sites. If you are visiting on a Lake Placid family vacation or just a couples outing, it’s definitely worth considering getting the Olympic Passport. The Olympic Sites Passport in Lake Placid is maintained by the Olympic Regional Development Agency. You can pick up the passport at their office on Main St. or at any of the Olympic sites ticket offices. 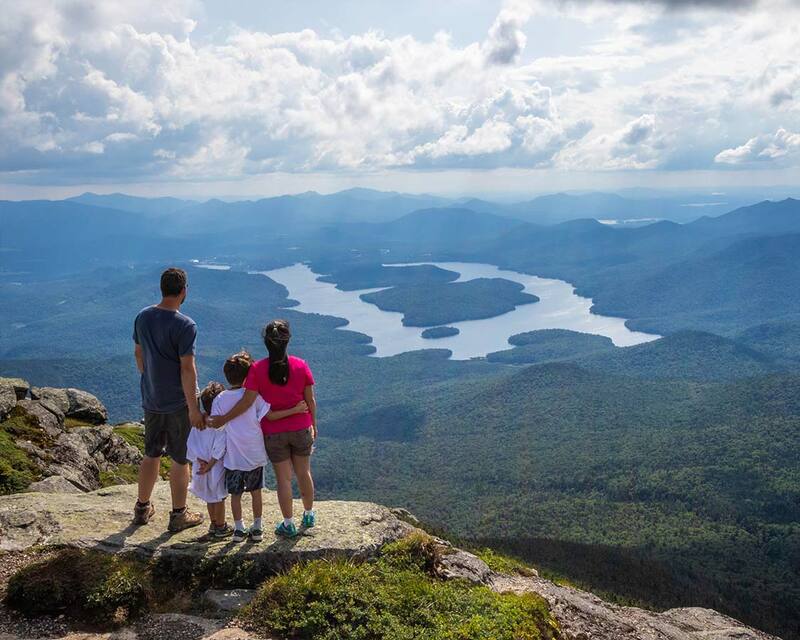 Do We Recommend That Families Visit Lake Placid With Kids? 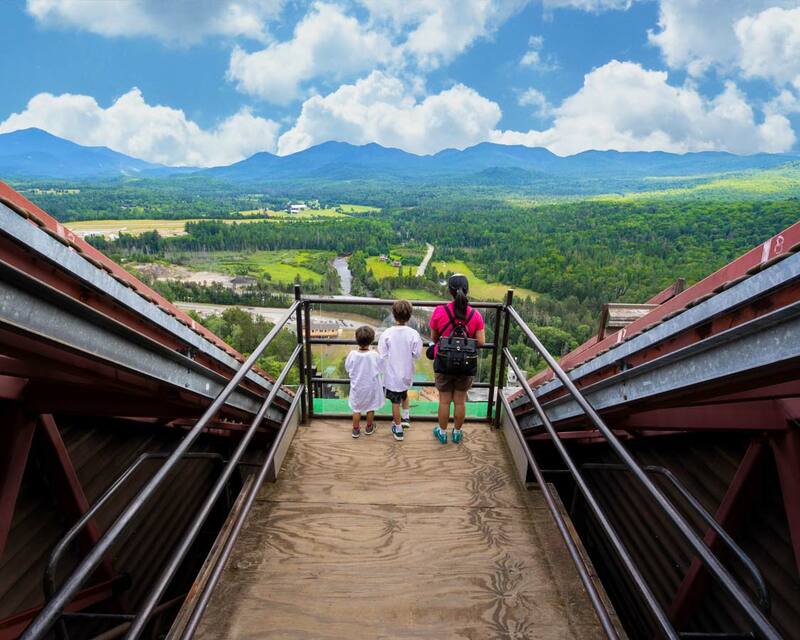 With all of the Lake Placid attractions, it seems like the region was built for families. The activities are all very family-friendly and the small-town cottage vibe that surrounds the village seems to run a perfect pace for children. 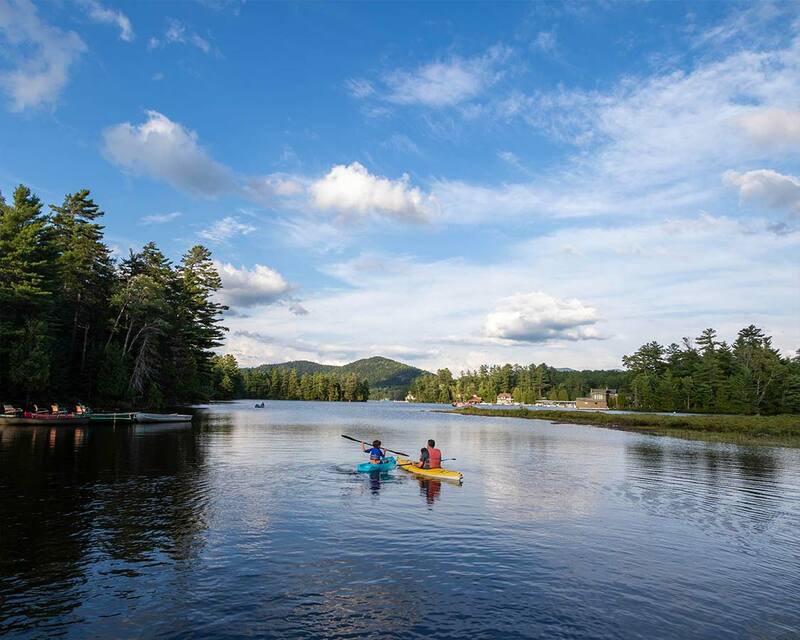 Whether you are looking for a place to relax, get active, or experience some true Adirondack adventures, a Lake Placid vacation should definitely be on your list. Disclosure: This post was made possible with the support of Lake Placid Tourism and ROOST ADK. Wandering Wagars is a participant in the Amazon Services LLC Associates Program, an affiliate advertising program designed to provide a means for sites to earn advertising fees by advertising and linking to amazon.com, amazon.co.uk, amazon.ca. Amazon and the Amazon logo are trademarks of Amazon.com, Inc. or its affiliates. Gorgeous Kevin. Upstate NY is like a different world from both the city, and from much of the Northeast too. Brilliant region.